The Dutch/French island of St. Maarten/St. 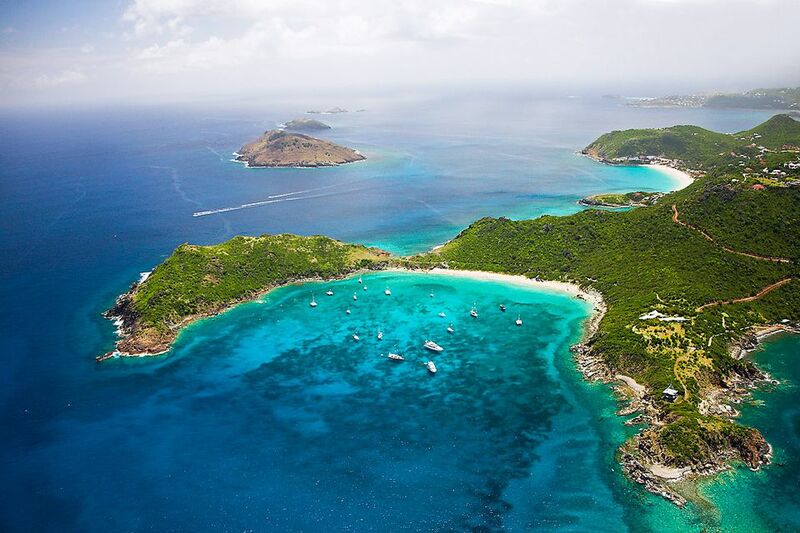 Martin is a great destination in its own right but also serves as the transportation hub for a number of nearby islands in the Eastern Caribbean, including Anguilla, St. Barts, and Saba. It's one of the few places in the Caribbean where you can easily and affordably "island-hop" from country to country, essentially getting two, three or more vacations for the price of one. St. Maarten/St. Martin is one of the most accessible islands in the region thanks to the excellent air service to Princess Juliana International Airport on the Dutch side of the island, served by American Airlines, US Airways, Continental, JetBlue, Spirit Airways, Air France, KLM, LIAT, and others. Once you're on the island, you'll want to spend at least a few days exploring the island's unique cultural mix of French sophistication and laid-back Dutch hospitality. When you get the itch to explore, however, few islands offer as many easy day-tripping options as St. Martin/Maarten. Winair and St-Barth Commuter, for example, offers quick 10-minute flights to nearby Anguilla, Saba, St. Eustatius, and St. Barts. But the preferred way to get to most of these neighbor islands is via ferry, which can whisk you to your destination in less than an hour. Anguilla: Known for its posh resorts and fine dining, Anguilla is served by ferries from both the French St. Martin capital of Marigot and Simpson Bay on the Dutch side. The Marigot boat is especially appealing for day-trippers because it departs about every 20 minutes; the last boats back from Anguilla depart around 6 p.m. If you're tempted to linger, Anguilla has some of the loveliest high-end resorts in the Caribbean, including the Four Seasons, Malliouhana, CuisinArt, The Reef, and Cap Juluca. GB Express operates express shuttle service between Anguilla's Blowing Point Ferry Terminal and Simpson Bay, which is adjacent to Princess Juliana International Airport. Various tour companies and charter operators also offer excursions from St. Maarten/St. Martin to Prickly Pear, a quiet cay off of Anguilla. Saba: Diving and hiking are the main attractions on tiny Saba, and daily boats depart from both Simpson Bay and Oyster Pond (on the French side) in the morning, with return trips in the late afternoon. When you grow weary of the go-go atmosphere on St. Maarten, Saba is the ultimate place to unwind and reconnect with the laid-back "old Caribbean." St. Barths/St. Barts: One of the most exclusive destinations in the Caribbean, St. Barths is a hangout for publicity-shy celebrities. Even if you can't afford to stay at one of the island's upscale resorts or villas, you can take the daily ferry from Marigot or Philipsburg and enjoy some people-watching or a cheeseburger in paradise at Le Select. Chartering a catamaran is another option for visiting St. Barths from St. Martin. Pinel Island and Tintamarre: Located in Orient Bay in French St. Martin, Pinel Island has a few restaurants/bars, beaches, kayak rentals and not much else, just a five-minute water-taxi ride from Cul de Sac. Even quieter is Tintamarre, a flat French island known for its secluded beaches and its natural spa where the mud is believed to have healing powers. Many St. Martin/Maarten charter companies offer day trips that include a stop at Tintamarre. For a catamaran cruise to the neighbor islands, check out Scoobidoo. February in the Caribbean: What's Not to Like?